how to check previous price history ? In Price history, rates charged on previous deals with product name,date and rate are saved and can be used as reference to quote. 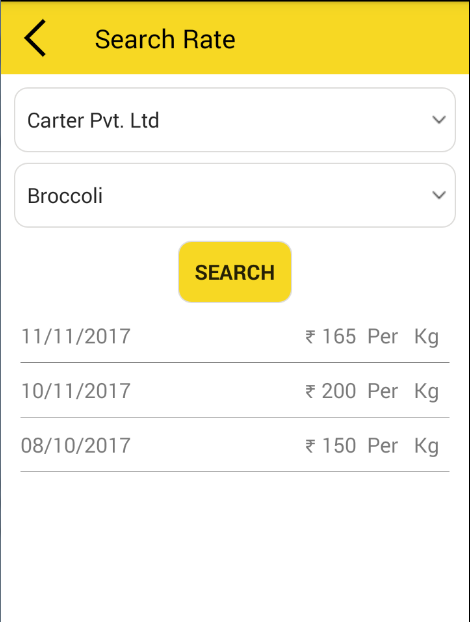 – Add the detail like Customer Name and Product Name from drop-down menu. – Select date by clicking on calender icon. 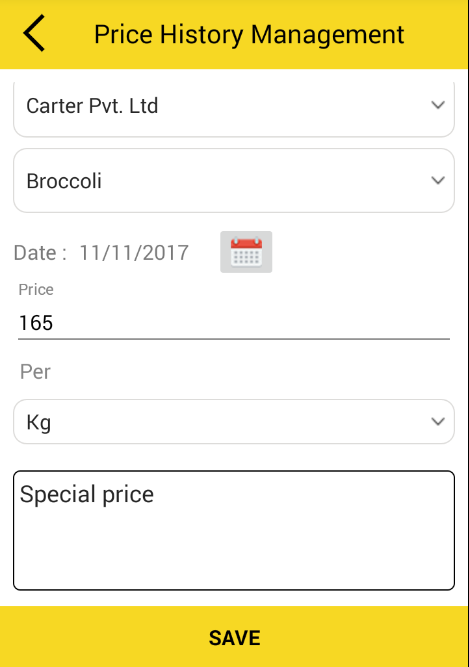 – Enter price and select unit from drop-down or user can enter new unit name. – By Clicking on SAVE button one toast message will display. – This added rate can be viewed by User for future purpose by going on search rate page. By Satish Mantri|2018-09-11T10:23:27+00:00May 8th, 2018|Comments Off on how to check previous price history ?